It’s International Women’s Day, so we’re celebrating by remembering two heroic women immortalised in statues in central London. Above is Edith Cavell, a British nurse who was trapped in Brussels by advancing German armies in 1914 and then subsequently arrested for aiding French and British soldiers to escape before being executed by firing squad on 12th October, 1915 – an event widely condemned around the world. The marble statue, located in St Martin’s Place at the intersection of Charing Cross Road and St Martin’s Lane, is by George Frampton and was erected in 1920. 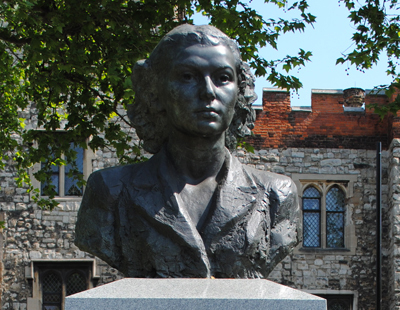 Below, meanwhile, is a bust of Violette Szabo which tops a memorial to the Special Operations Executive (SOE). Szabo, who was posthumously awarded the George Cross and the Croix de Guerre after she was captured and eventually executed by the German Army in early 1945, was among 117 SOE agents who did not return from their missions to France. 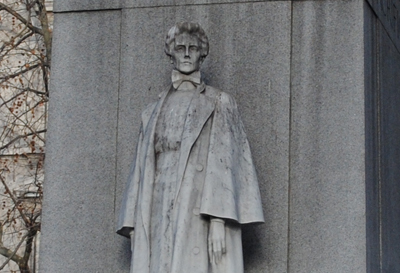 Located on Albert Embankment, the statue – which is the work of Karen Newman – was unveiled in 2009.